So all health caveats aside, this dish is good and good for you WITHOUT making any substitutions. I am always on the lookout for dishes that are “normal” and tasty that HAPPEN to fit in diet restricted eating plans. They seem to come out the best, cost the least to make, and taste the best! Heat oil in wok or large skillet over medium high. Add garlic and ginger to the oil to flavor it. Swirl around for 30 seconds to 1 minute – DO NOT let them cook so long as to change color. You want good flavors, not bitter burnt garlic. Eww. 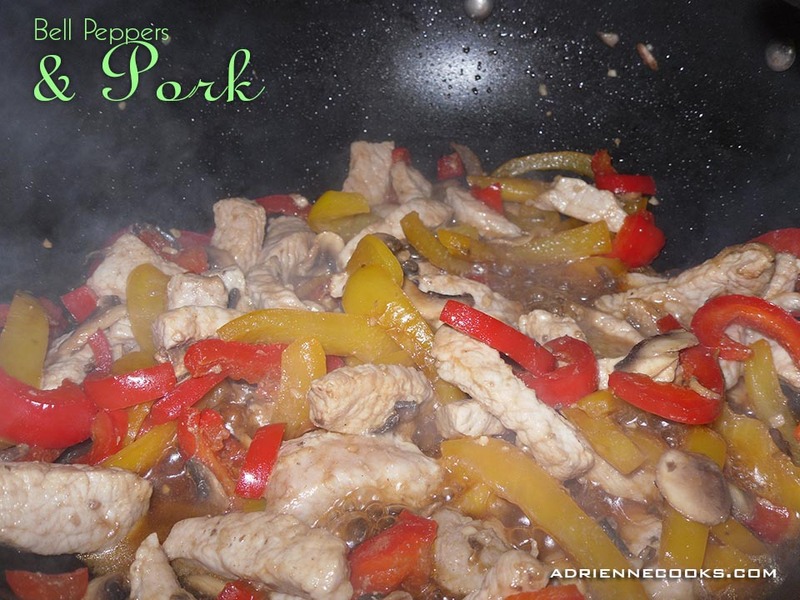 Toss in your meat and stir-fry until the outside of most pieces are opaque white and then add your peppers. Keep everything moving in the wok/pan, after 2 minutes add the mushrooms, continue stir-frying for 4-5 minutes. As the peppers soften and cook down, add your soy sauce, oyster sauce, pepper and sesame oil. Cook an additional minute or two while stirring until the spices/sauces are distributed. Done! Serve as is, over rice, or with a nice pickled salad. You can complete this dish with any protein, including tofu! Just adjust cooking times accordingly. You will need to start the vegetables before tofu or shrimp, follow the same procedure above for beef or chicken.